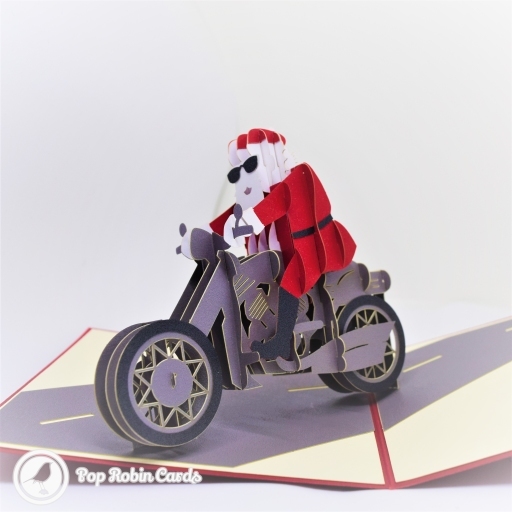 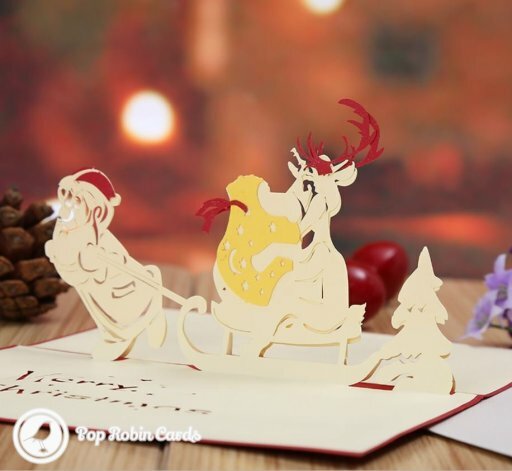 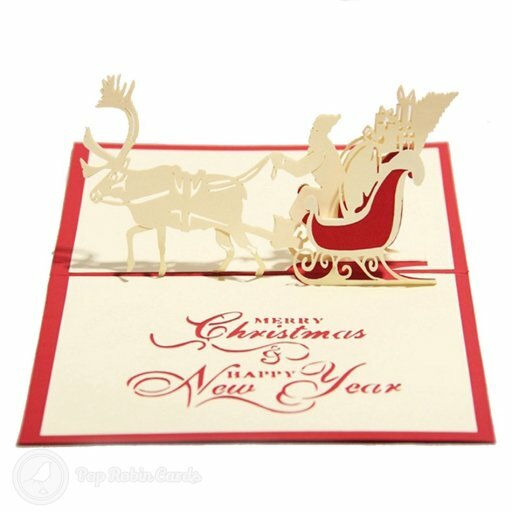 This bright and colourful Christmas card opens to reveal a 3D pop-up scene with Father Christmas being pulled on his sledge by a reindeer. 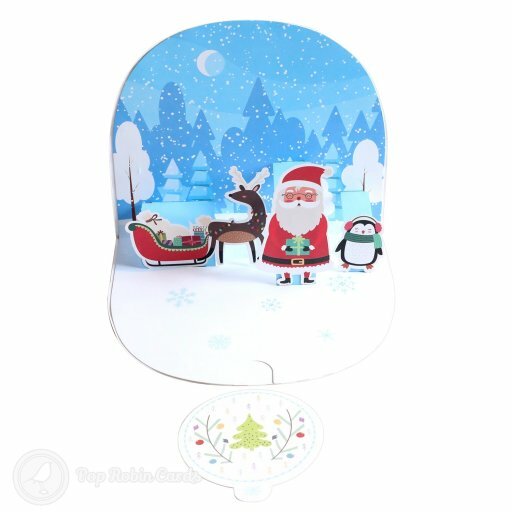 Five cheery snowmen are printed in the background. 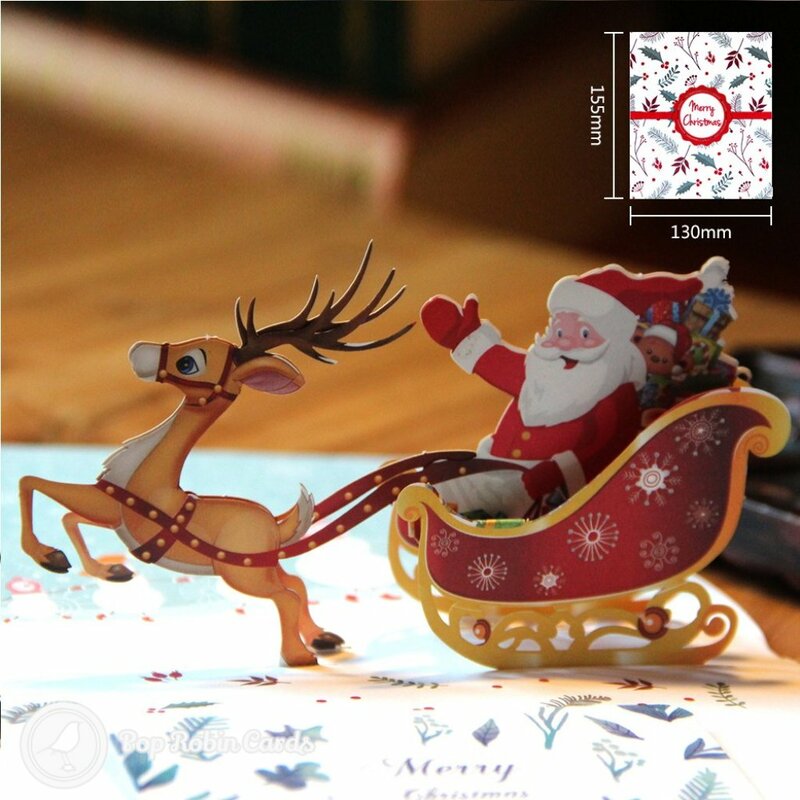 There is an inner card for you to write your own message on which can be slotted in.